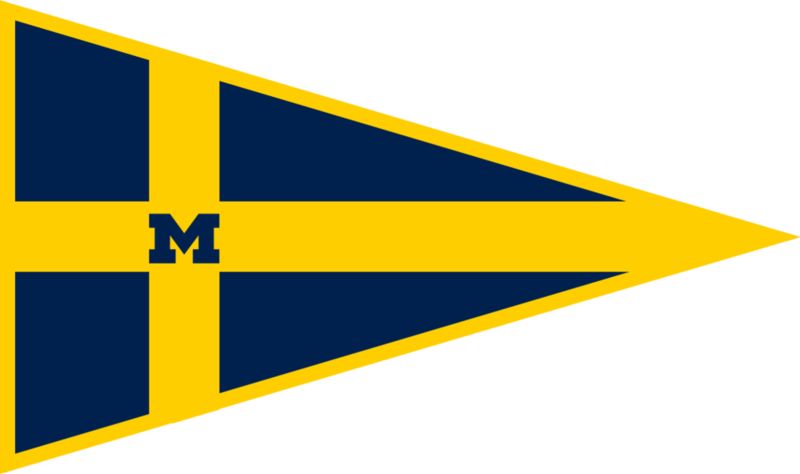 The Michigan Sailing Team hosted the MCSA Women's Championship Regatta for the second year in a row! Saturday started off with heavy winds and rain, and continued throughout the morning. Eventually the rain stopped, but wind picked up resulting in lots of capsizing and fast racing. We were able to complete the ten races in each division required for a complete event on Saturday, so racing on Sunday was canceled. Wisconsin took 1st place followed by Michigan in 2nd, Notre Dame in 3rd, and Minnesota in 4th. Congratulations to these four teams, as their finishes earned them a spot at the ICSA Women's Nationals this May!